The World Bank (WB) announced Tuesday it granted Tunisia a $60 million that will be used to back underprivileged youths and incite entrepreneurship among the country’s youngsters living in economically poor parts of the North African country. Directed to youths living in centre-West, North-West, South, Sfax governorate and Manouba in Greater Tunis, the loan is earmarked for a job creation scheme to be supervised by several departments including the ministry of employment and professional training. Carine Clert, co-head of the scheme and Chief expert of Social Protection and employment at the WB indicated that the loan translates the WB’s resolve to support the North African country in its new strategy to give new hope to youth, underprivileged, women in particular and create opportunities for them. Tunisia has been facing economic hardship since 2011, year of removal of autocratic leader Ben Ali. Millions of Tunisian took to the street to call for better life conditions. The hopes, which drove the revolution, were quickly smashed exasperating the situation. Thousands of young Tunisians mostly in poor areas joined terrorist groups in Libya, Syria and Iraq. 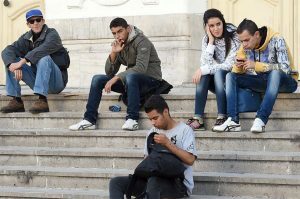 Around 600,000 Tunisian graduates are unemployed and unemployment rate has been put at 13 per cent, representing a record high.